Hi I’m Justin from AmericanMuscle.com, and I’m here to show you what you can expect from using the SCT 4 bank eliminator chip complete with 3 Bama tunes for your 87-93 5.0L Fox body. 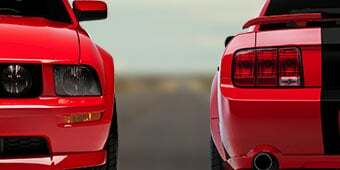 A custom Bama tune would make a great addition to any Fox Mustang, whether bone stock or heavily modified, improving many areas of your cars performance. Our experienced Bama performance tuning team asks you a series of 19 detailed questions about your ride and its modifications, and then custom tailors 3 different tunes, to get the most performance out of your ride and all of its modifications. 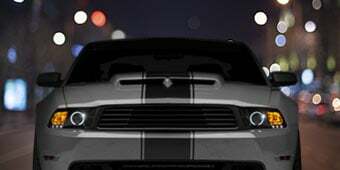 This tune is going to optimize your Mustangs spark timings and air/fuel ratios, resulting in increased power, better throttle response, and overall better drivability when compared to your factory tune. One of the best features with this SCT chip and Bama tune is the addition of this dial selector, now this basically allows you to switch between tunes on the fly without having to turn the car off, or wait several minutes for the tune to download like you would using a traditional tuner. Now that we know what the tuner does, and some of its basic features, let’s find out how much power it’s going to make on our GT. In order to do so, we need to grab a quick baseline run first using our Dynojet, just to see where our car stands now. With our baseline run out of the way, we need to get to work installing our tune, doing this on your Fox will require you to move, and slightly disassemble your car’s computer which is located under the passenger side deck panel, you’ll also need to route that variable adjustor switch to an area of your preference. While this is all pretty easy stuff to do, it is a little time consuming, and that’s why we’re going to call this one 2 hours from start to finish. If you do get stuck at any point, you can always reference the detailed instructions located on this page, they should help you out. With the tune uploaded, let’s make another pull here on the Dyno, and see what kind of gains we’re looking at. Our baseline run with our 93 GT gave us 207 horsepower and 270 ft/lbs of torque, with our SCT chip and custom Bama tune combo, we put down 217 horsepower and 285 ft/lbs of torque, making a peak gain of 10 horsepower over our baseline numbers, and gains of 10 horsepower and 16 ft/lbs of torque throughout the curve. The SCT 4 bank eliminator chip loaded with a Bama custom tune is an easy and affordable way to add some real horsepower and torque to your Fox Mustang, and they can both be found right here at AmericanMuscle.com. Increased HP and Torque. From the factory, the manufacturer programs their vehicles to cater to the needs of the daily driver, not the performance enthusiast. 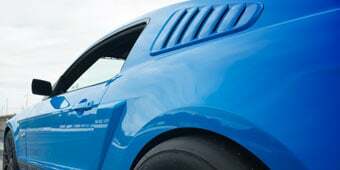 After loading a Custom Tune on a vehicle, even a bone stock, unmodified Mustang will realize noticeable gains in Horsepower, Torque and Fuel Economy. Switch Tunes On The Fly. One of the biggest benefits of a chip over a tuner is the ability to switch between tunes at a moment's notice. There is no need to wait minutes for downloads to complete, just turn the dial and your ready to go. Blank Chip - No Tunes Loaded. This 4-Bank Chip will allow you to get a Dyno Tune from any of your local shops that utilize the SCT programming software. The chip will ship from AmericanMuscle blank, with no tunes loaded. If you would like Bama to write custom tunes for your Mustang, check out our 4-Bank Eliminator Chip with 3 Free Custom Tunes. MAF first? I have an '87 GT that still uses the Speed density ecu instead of the newer/better MAF and ecu. Should I hold off on this tuner until I make the switch? I have been hesitant to do any work on the motor because from what I understand the speed density system will not compensate for increased airflow causing a lean condition. 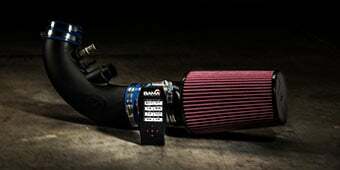 Could I get this tuner and be able to run cold air and headers before the MAF swap? Switching to MAF is a much better idea, but this chip will work with both. 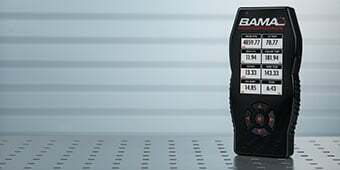 The Bama Performance team can write you a tune for your speed density setup and load it onto this chip and ship it out. When you convert over to MAF and want to get it updated, just mail us back the chip and we'll make the adjustment for free! That's the great thing about Free Tunes for Life! Hope this helps! I would finish up the transition of the maf. Because it is a pain to remove and send back for a retune. Again just finish up everything then let the guys at bama know what you did in the description box when u order. And you should be fine. Typically you will see .1-.2 gains in ET and 2-3 MPH. While these may seem like minimal gains, you will notice better throttle response as well as HP and Torque gains. Good luck at the track. You would notice a difference. Especially if your'e running good octane gas. The base line tune would be for normal driving, but from there you can advance it to the point that you can rocket down on the ET's. Will this chip be able to clear my check engine codes? Ive got a 95 mustang gt 5.0. THe smog pump and EGR valve has been removed. These have triggered the check engine codes, 311,314, and 332. Would this chip be able to clear these so they dont casue my check engine light to be on all the time? The chip can be programmed to eliminate the codes with the modifications you've listed. However, if another code pops up, you'll need to have the code read to determine what it is. The chip can not read or clear codes, but simply allows us to program them out of the calibration. Hope this helps! Yes! The guys at Bama can and will remove the computer's functions as needed, which in turn will remove your check engine and actually make the car run smoother. I had my smog pump and EGR removed with this chip, so now I am able to roll with 87-93 headers on my 5.0! It basically tricks the computer. This would help, yes! Just let BAMA know that you have eliminated those and would like their functions disabled off of the computer. I'd like to order a Bama 4-bank eliminator chip for my 89 fox. What do you need from me to ensure it comes with appropriate tunes? When you order the Bama 4 Bank Eliminator Chip, you will receive a tune sheet to fill out from Bama, so they'll be able to write your custom tune! Need a retune? My 98 mustang GT had this chip installed and it ran great. Decided I wanted a more aggressive sound. Kept the O/R x but removed the Flowmasters and tailpipes so its straight pipes dumped before axles. Lost low end torque. Is this because of exhaust setup itself or more so because it needs a retuned chip? Removing the mufflers from your vehicle will not require a retune. The vehicles torque is partly based on the amount of back pressure and the scavenging your exhuast can produce. By reducing the amount of back pressure, you essentially lose torque, by reducing the ability to properly fill the engine's combustion chamber. For optimum torque, you may want to consider reinstalling your flowmasters. you lost some back pressure which will affect your low end torque. You can purchase the tuner from the get go! 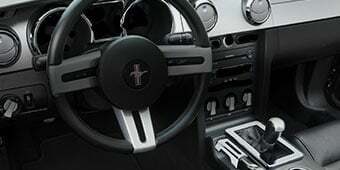 Anytime you make new mods to your Mustang, we can email you new tunes that you can download right to the handheld tuner. The chip and the handheld do essentially the same thing in regards to performance gains, except you need to mail the chip back to us for any reflashing. There's no need to purchase the chip if you plan to purchase the tuner at a later time. If you have any other questions or concerns, please don't hesitate to give our Bama team a call. They'd be more than happy to help! Depending on what you want from the tuners will determine what you want to purchase. A handheld tuner is good for if you don't want to switch tunes on a fly and want to receive tunes via email with the option of reading check engine codes. The chip is what I recommend to people because the fact that you can choose switching tunes on a fly. It saves time and you don't have to keep a tuner in your vehicle. If you want to drive to work, you would switch to a street tune and if you want to occasionally show off for a friend/ girl switch to performance/race tune. Todd, You need either the chip or the tuner, not both. The tuner is a good choice in that you can add mods to the car and contact Bama to rewrite your tunes and email them to you. If you buy the chip, I believe you have to send it back to them to reflash it. For your 94 Mustang you wouldn't need to get a new tune for the 190 LPH fuel pump. 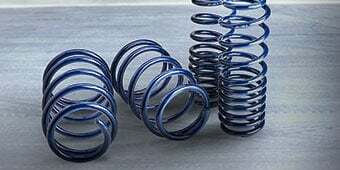 This is because that year Mustang is the return style fuel system and the pump will function the same and any excess fuel will just be returned to the fuel tank. Absolutely, the mods you've listed can be custom tuned with the SCT 4-Bank Eliminator Chip w/ 3 Free Custom Tunes. The Bama 4-Bank Eliminator Chip will not work for the Vortech 4FA218-010L, as Bama does not tune for aftermarket superchargers. 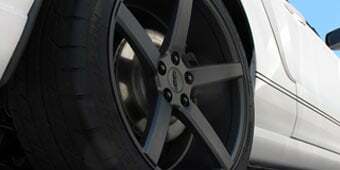 You would not have to take the Mustang to a dyno before getting the chip or for new tunes. Depending on what the mods are we would be able to get the chip here and build up new tunes for you based on that. If you are having issues we may need to help troubleshoot a few things to get it squared away but in most cases a trip to the dyno wouldn't be needed. Bama can tune the PCM for the 24lb injectors. A large MAF would help to increase airflow to the engine allowing for more power though. That would really depend on what modifications you have done to your Mustang. Please contact our Bama Specialists to go over exactly what mods you have so they can answer this question with complete accuracy. Our Bama team can turn off all the automatic transmission functions with our custom tunes as well as increase the performance of your Mustang using this 4-Bank Chip! 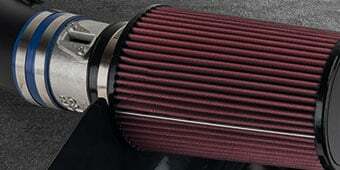 At time of purchase, the chip will be shipped with a Street, Performance, and Race tune installed. These can be easily switched between using the supplied rotary switch and cable. In the future, you will need to send the chip back to us for any new tunes. Shipping time (from you to our facility) usually has the biggest effect on turn around time. Once we receive your chip and tune info, the chip will ship out within 2-3 business days. Hope this helps! So far this is amazing at the difference it makes. My 01 Mustang GT came alive. I can't wait to start adding more goodies. The con is I can't tell a difference between Race and performance settings. But well worth the money. Bama all the way!!! Had trouble with this right off the bat. They had to send me 2 different ones, in the end I just bought an x4 instead. This chip made alot of difference in my throttle response and felt it woke up my car. It was an easy install about an hour. I was hesitant at first to purchase this chip to see if it was worth the $$$. I would purchase again if i had another sn95. Its worth it i say bama thank u again. I have to admit, I was a little skeptical with this purchase. I thought it would help but seriously, how good can a mail order tune be. Well let me tell you, I am thoroughly impressed!!! It pulled all the mods together and the car runs like the mods were made for it. The idle is smooth, the acceleration is strong, especially on the top end of the gears. There is no more exhaust smell when idling. The car just feels like it’s all in sync...finally! Thanks BAMA tunes and American Muscle...it was worth every penny. This chip woke my car up a deeper sound and power you can feel rpms are more aggressive and throttle response is night and day better than what it was well worth the money!! Tune works great and fixed car stalling. Can definitely see power and performance improvement. Tune is so easy to switch between and tune get back to you very fast. Very pleased with the difference this has made. Was a little tight to install but well worth it. It was everything i expected. 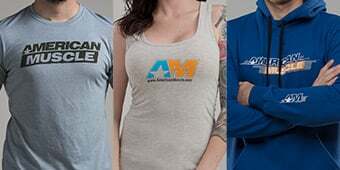 Thanks American Muscle! This is a terrible product. My car has aluminum heads, cam, intakes, big einjectors, throttle body, etc so I bought this hoping it would keep the car from running lean and maybe give me a few extra horses. First chip came - high excitement. It didn't fit onto my A3M CPU without knocking some resistors out of the way. I called customer service and they said I could bend them out of the way or they would send me another one. I went the safe route and returned it for one that would fit as advertised. About a MONTH later I get the second chip in the mail. Same exact issue. I'm ready to have it in the car so I bend the resistors down as customer service had advised. It made my car run horribly, spew smoke and the fuel pump run continuously. I tried to give it time to learn the car as I'm sure it doesn't get the tune right straight away and nothing improved. I removed the chip and the car ran better and stopped spewing smoke. I still however have to fix the continuous fuel pump issue (internet says fried ECU - $300). Thanks for nothing, Bama. If you need your car tuned, spend the extra $100 and get it tuned by a dyno shop. It will save you money and lots of headaches. Easy install, everything needed is in the box. They even give you a piece of brillo pad to clean the connector. I’ve had a total of 3 going on 4 of these in my car. All professionally installed and none of them work. And when you contact Bama they don’t even seem bothered by it, they act like it’s the norm. We shall see if the 4th will actually work and not be defective out of the box. Spend your time, patients and money on other products. Switched from auto. to T5. Nice addition on my 91 Mustang. I converted to a T5 setup from an Auto. I am still running the A9P ECU and was having issues with idle surge and stalling when ruining the A/C. It helped smooth some of that out (I still had to make some idle relearn procedures at the throttle body). Not much of a performance gain but definitely smoother once it was installed. Father/Son Project FINALLY runs right! After spending 14 thousand bucks on what was supposed to be a "cheap father/son project," our 90 Mustang GT is finally running perfectly! The missing secret ingredient was the Bama 4 bank eliminator chip. Car idles again!!! With bolt ons comp cam and gt40 heads and intake the car only idled sometimes. This cured the idle!!!! Noticed some gains. Install in the kick panel was a little tight with the selector cable coming out the top. Good investment. With the bolt on and heads, cam the ship smoothed everything out.